The one making the claim has the burden of proof! What is the burden of proof in this case, and who has it? Its use in philosophy, and in internet arguments, is not nearly so clear. The word “proof” is somewhat misleading. Deductive proofs are possible in mathematics and logic, but rarely elsewhere. 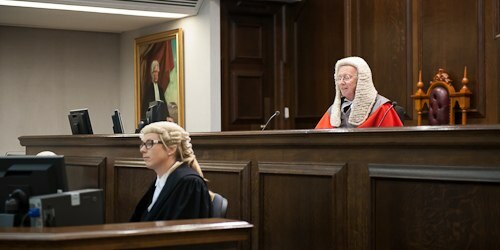 In criminal cases, the prosecution has to convince the jury of the defendant’s guilt “beyond reasonable doubt”, which is somewhat less than “proof”. In civil cases, the plaintiff is required to demonstrate their case on the preponderance of evidence, a much lesser claim still. A deductive argument attempts to prove its conclusions. This requires that the argument be logically valid and all premises can be proven to be true. In the real world, few arguments meet these requirements, and few believe questions about the existence of God can be proven one way or another. According to this professor of philosophy, an inductive argument requires that every proposition be shown to be more reasonable than its contrary, using “evidence or further argumentation”. Wikipedia suggests anyone making an argument should “provide sufficient warrant for their position”. Most philosophers addressing the existence of God would use inductive arguments. Thus atheist Austin Kline suggests arguers have a “burden of support”. So it is clear that in debates about God, propositions or statements do not require to be proven, but to be shown to be reasonable. Except in a courtroom, no-one is required to say anything. A person can offer an opinion and there is no legal or moral obligation to explain it or justify it. No-one need feel any “burden”. But what we can say is that if we wish to commend our view to others, if we wish others to take it seriously, even be convinced of it, we need to offer good reasons why they should be convinced. This “requirement” falls on the atheist just as much as the theist. Whoever presents a proposition they want others to accept should provide reasons in support of it. So who has this “burden of proof”? Theists clearly make statements that they want others to accept, so it is reasonable to ask them for reasons. Some atheists avoid making statements about God beyond “I have no reason to believe a God exists”. The only proposition they have made is a statement about their own personal lack of a conclusion, and so they have said nothing which requires a reason. However other atheists clearly do make statements – either clear propositions about God’s non-existence or criticisms of theistic belief. If they wish to make these statements in discussion, they too should expect to be asked to give their reasons. So “burden of proof” shouldn’t be used unthinkingly as a catchphrase that only applies to theists, but as a way for all viewpoints to justify their statements.